Update your bed, sofa, or favorite chair with pillowcase printing from Print Shop! 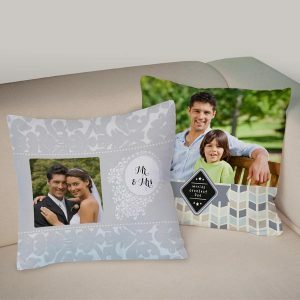 Our photo pillowcase can be printed with a single photo, edge-to-edge, along with personalized text. Upload a favorite wedding photo, vacation picture, or natural landscape snapshot and create the perfect pillow to enhance your decor!